We are proud to serve the Paw Paw, MI area with professional dry cleaning services, a drop-off or self-serve laundry, and free pickup and delivery. At The Clothes Basket, our expert staff takes great care in attending to all of your dry cleaning needs, handling everything from standard dry cleaning and laundry to wedding gowns, draperies, leather, and more. 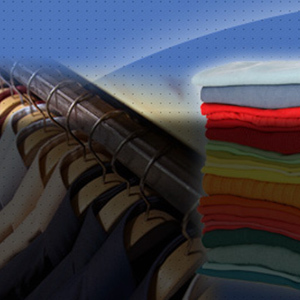 Whether you are stopping by to wash a couple of loads; need your work uniform cleaned, pressed and ready-to-wear or want to take advantage of our specialty cleaning capabilities, The Clothes Basket is dedicated to providing you with exceptional service, great prices and quick turnaround. We invite you to explore our website to learn more about everything we have to offer or Contact Us today for a free quote. We look forward to serving you.